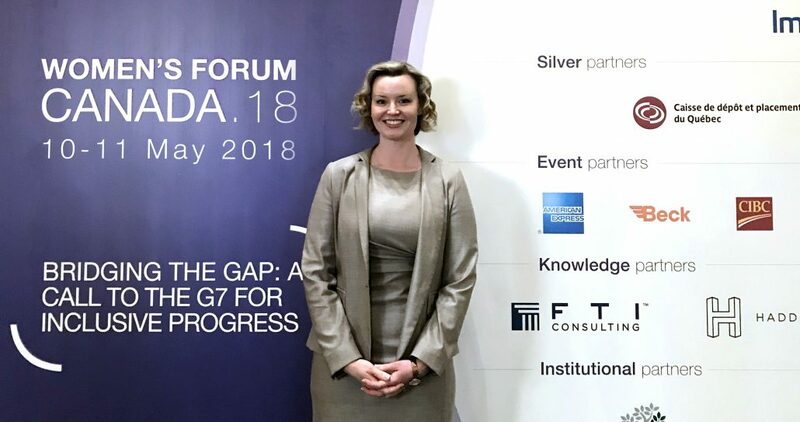 TORONTO, ON – May 10, 2018: InnoCare and pt Health are pleased to announce that, as part of the discussions leading into the 2018 Group of Seven (G7) Summit, CEO Heather Shantora has been invited to join Women’s Forum Canada 2018, a discussion among 50 global CEOs, board members and other c-suite leaders focused on “Equality is the best policy: A dialogue on scaling gender equality in the workplace through policy”. The discussion is part of Prime Minister Trudeau’s broader mandate to secure a place for gender equality discussions at a global level and will offer the leaders of the world’s most influential economies perspectives on how government and the private sector can work together to enhance progress toward gender equality. All G7 countries have committed to achieving measurable and sustainable progress on gender equality by 2022. Heather is one of a handful of young Canadian women at the helm of one of Canada’s most dynamic – and important – industries: healthcare technology. As a role model and mentor, Heather has a demonstrated record of helping advance women within the industry and within her own organization. In fact, her leadership team is 50 per cent women, and the company as a whole is 73 per cent female. The G7 is a group of the seven largest advanced economies in the world (Canada, France, Germany, Italy, Japan, the United Kingdom and the United States) who meet annually to build consensus around some of today’s most challenging global issues. This year, Canada will host the summit in La Malbaie, Quebec from June 8-9, 2018. Canada also holds the G7 Presidency for 2018 and consequently sets the agenda for the year’s discussions.